Ok, so most of y'all know that FTR is making a comeback, if not, you do now. And I'm pretty sure that many of you would love to be involved somehow, but many of you are also to shy to lend your voice to the podcast.. But there are other ways to be involved, so why not help in an equally important way? Lending your curiosity. This thread is for any questions you want to be asked to the guests on air (so long as they are within the rules of the forum). Now keep in mined that the guests will remain a mystery until the episode comes out, so these will be more broad questions. What is the first pet you remember having, and your opinion on them? If you have a fursuit, who made it? If not, do you want one, and from which maker? What is your favourite music artist? Yeah thats a valid question, don't worry. What's your worst/best moment in the fandom? How did you find the furry fandom? 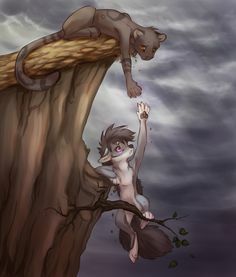 Favorite fursona on the forum (besides your own)? What are some of your favorite fursuits? Do you have many furry friends outside this site? How much money have you spent in the fandom (between art, fursuits, conventions, etc.)? What was the main inspiration for your fursona? Best friend on the forum? What do you mean "I sound like an old door?" If you could not live in your own country anymore, but you can move to any other country, where would you go?